When it comes to grand romantic gestures, few come closer to leaving a more lasting impression - literally and figuratively - than getting a tattoo. 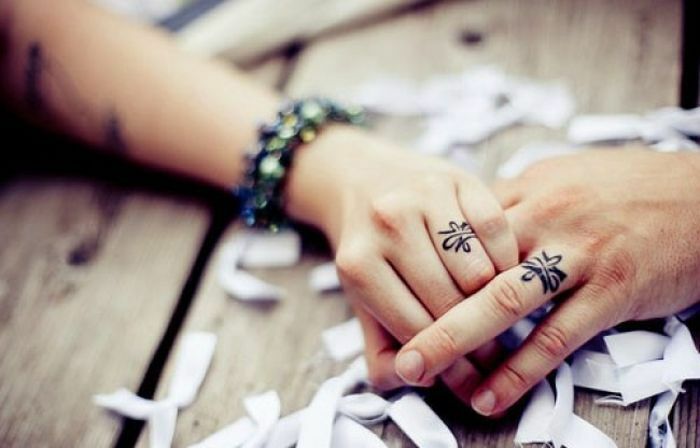 For many a hopeless romantic, nothing expresses real commitment better than getting their loved one's name or face painfully - and for all intents and purposes, permanently - etched onto their bodies. Despite the social stigma and the notoriety that are often associated with most forms of body modification, tattoos have slowly grown to also be an expression of love. Now take said expression of love and multiply it by two. What do you get? 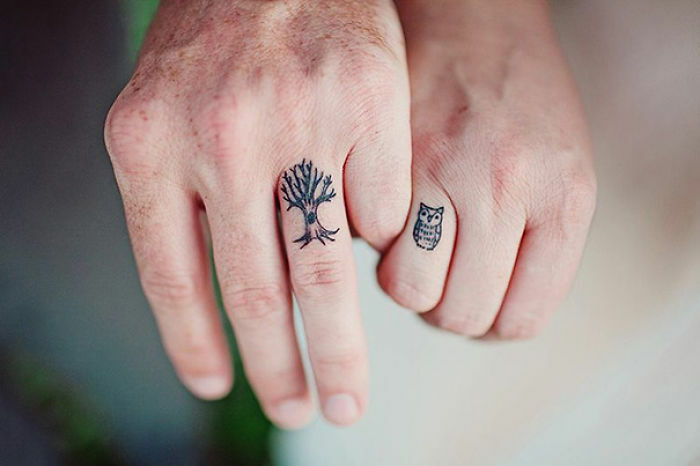 Matching couple tattoos. 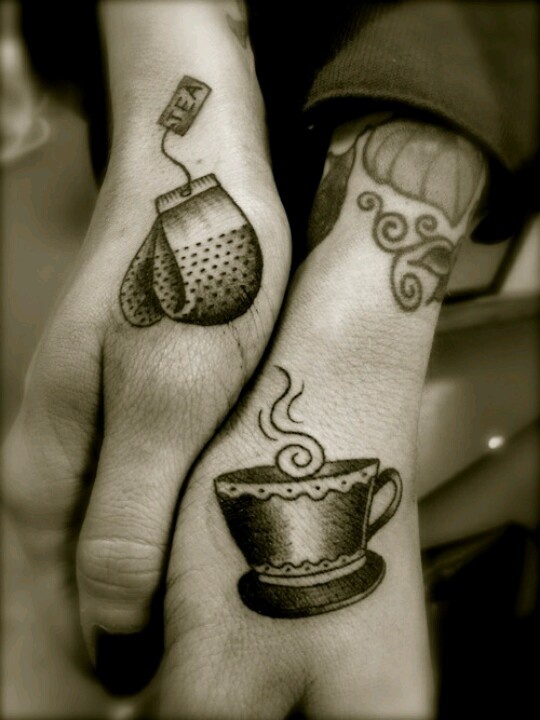 Leave it to the lovestruck to take tattoos as a symbol of affection and turn them into something even more beautiful. 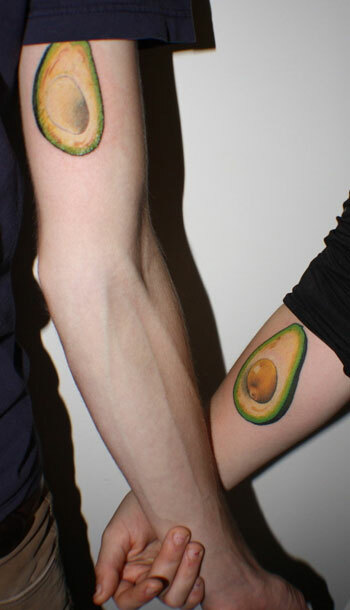 Getting matching couple tattoos is arguably one of the sweetest and most romantic ways couples profess their love and commitment to one another. 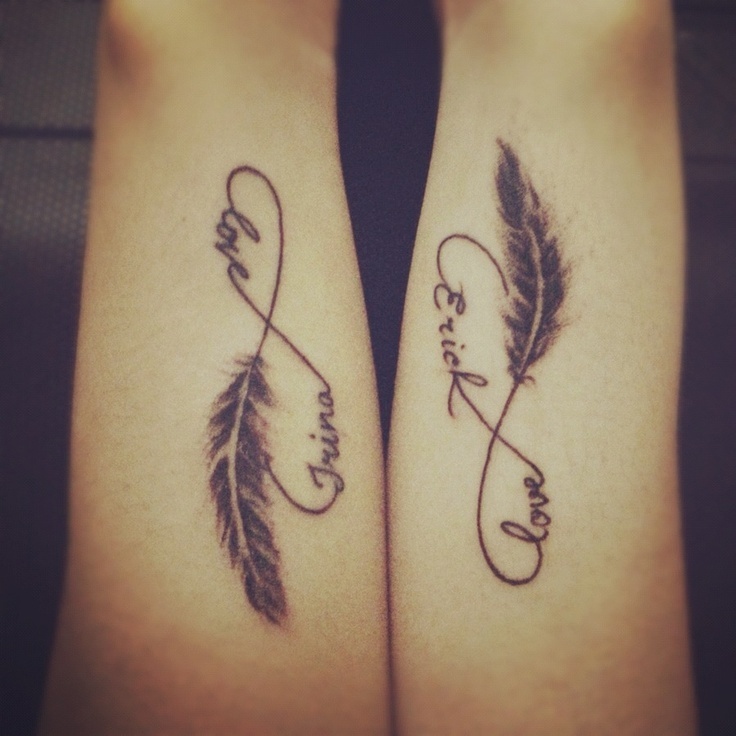 They are an expression that tells the world just how much the two of you love each other; and the creativity and personality that goes into designing couple tattoos only makes getting them even more special. 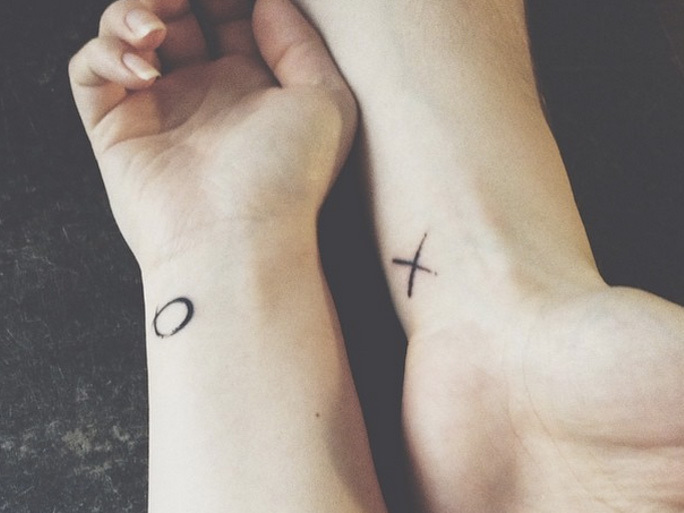 Considering the fact that no one can see the future and that there is absolutely no way of telling just how long a relationship will last, getting matching couple tattoos seems like a pretty big risk. What if it doesn't work out? What if the two of you end up breaking each other's hearts? Would you be left with a painful (pun intended) reminder of what might have been? Alas, love, like life, is not without its fair share of risks. 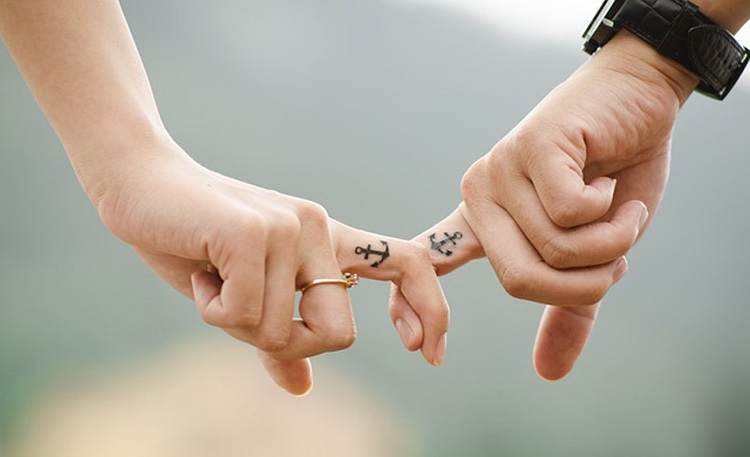 If you think about it, couple tattoos are really just cleverly designed tattoos that have a special meaning to two people who are in a romantic relationship. In other words, they could literally be anything. They could be a name, or a line from your favorite movie, or even two frogs making googly eyes at one another. Your design choices are limited only by your imagination. 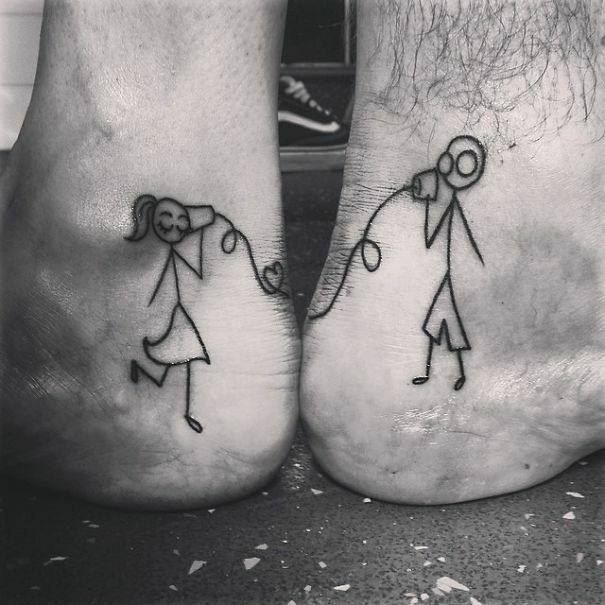 Check out these popular couple tattoo design ideas. 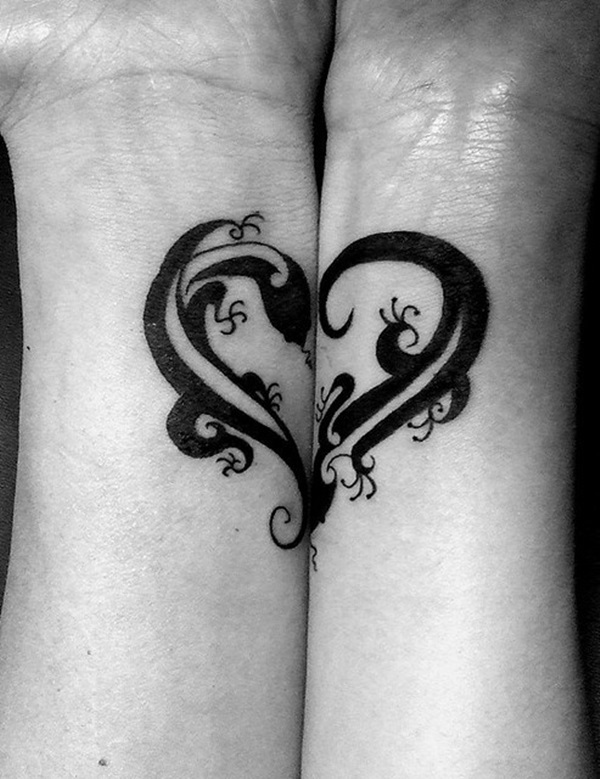 You can't talk about getting tattoos that represent love and affection and not think about hearts. 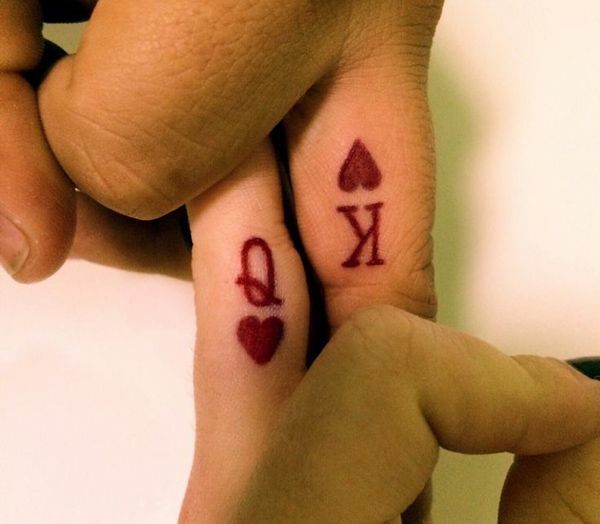 Sure, the idea that hearts are a symbol of love may be a cliché, but the beauty of this couple tattoo design is that with matching hearts tattoos, you can be as literal or as creative as you want to be with the design and still retain the logical connection to your tattoo's intended meaning. 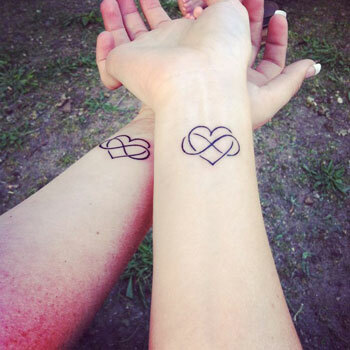 Matching hearts tattoos are commonly seen on the wrists, ankles, and even behind the ears, but you can always go against tradition and have them done on just about any other part of your body. 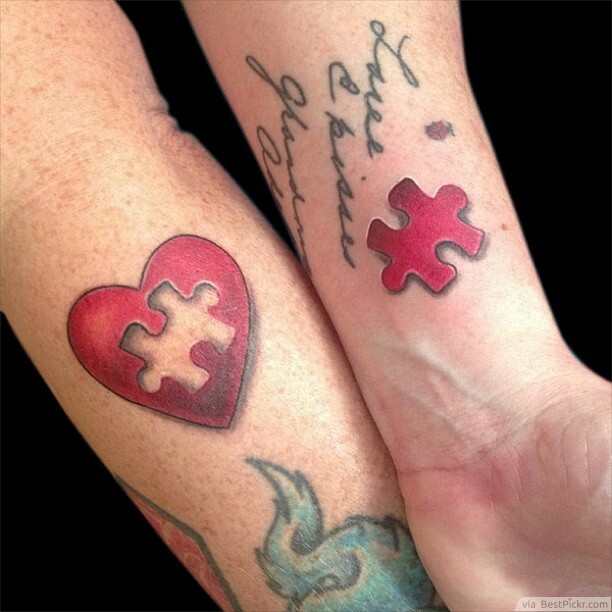 If designed and executed properly, matching hearts tattoos can be a beautiful representation of the life that you now share with your special someone. Think of a line from a song, book, or movie that both you and your significant other love. That would make for an awesome tattoo, right? It absolutely would. 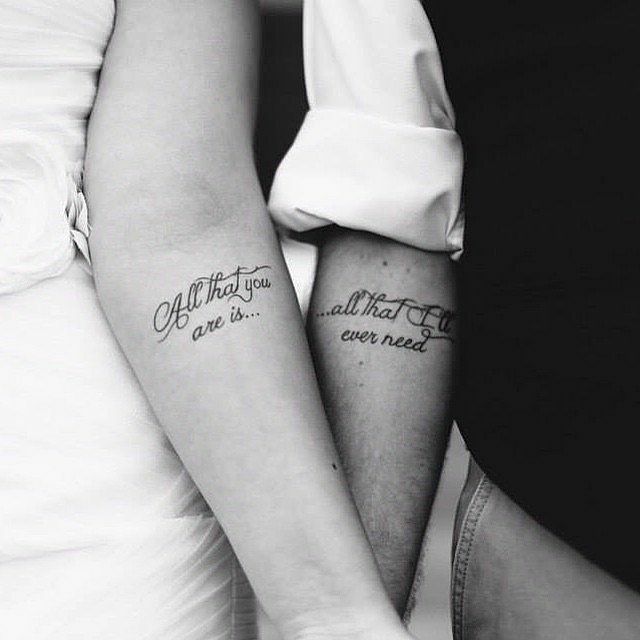 Choose a good font, add a few artistic touches here and there, and in no time you would have a simple yet meaningful couple tattoo design that the two of you can share. However, there are a few things to consider before getting a couple text tattoo. For obvious reasons, you will want a design that can stand on its own. 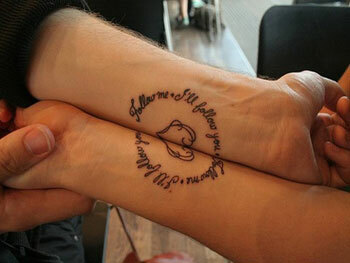 Some people choose to have half of the text tattooed on them, and other on their loved one, like in the photo above. 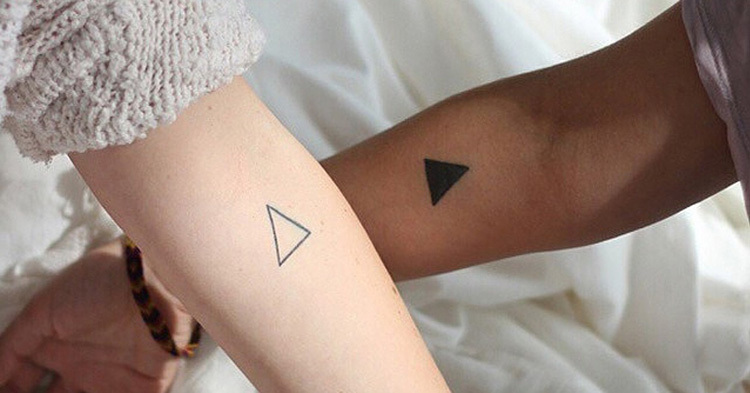 Together, the two tattoos form a complete idea. But what happens when the two of you are not in the same place? Will you be left with some phrase that makes no sense? Words can be tricky like that, and you need to be smart about your design choices. Also, you will want to pay close attention to spelling. Having a misspelled tattoo is like walking around with a permanent "kick me" sign on your back; it's embarrassing. If you choose to get a quote that you made up yourself tattooed on your body, be sure to get your grammar straight. The last thing you want is for people to constantly correct you every time they see your tattoo. It is a tattoo after all, and not something written on paper that you can easily white out and correct. This design idea is based on the thought that you and your partner complete each other. While the two of you may be great as individuals, you shine brightest when you are together. It's when you being together naturally feels right, as if you were made for each other. 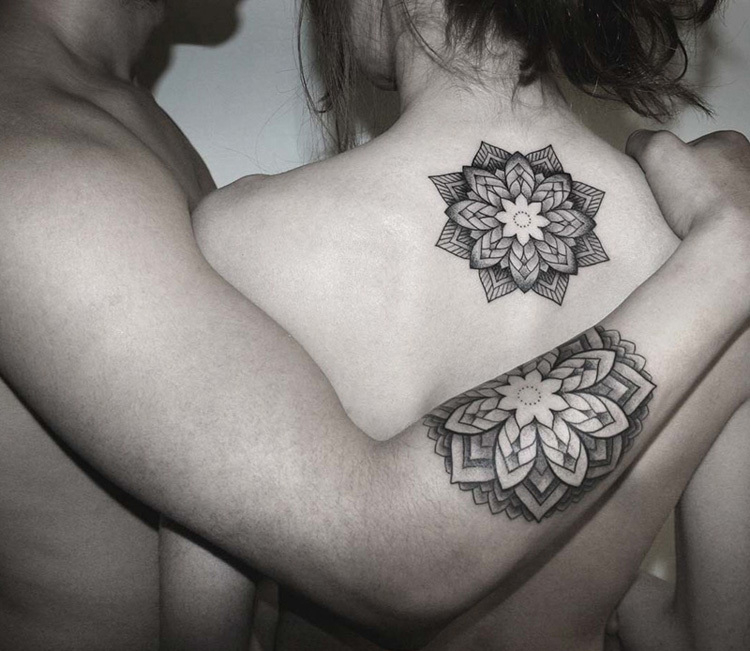 Paired tattoos are meant to represent the special bond that the two of you share. 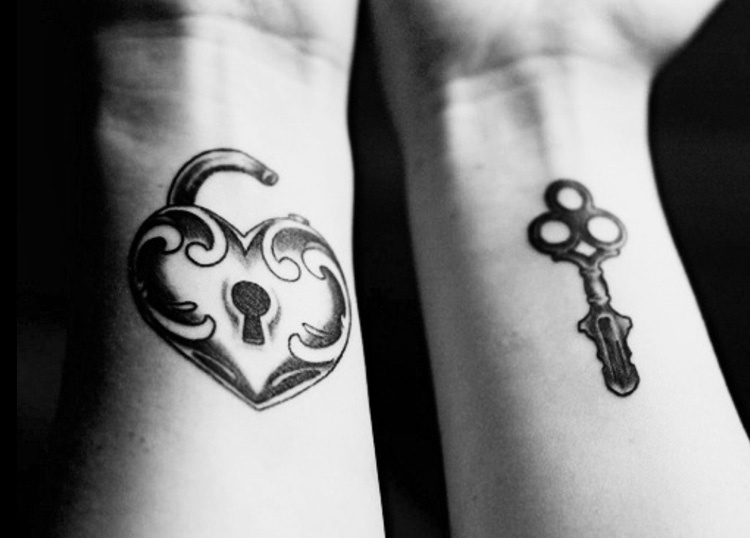 These tattoos are usually depicted by things that naturally go together, such as yin and yang, a king and his queen, spoons and forks, locks and keys, and more. These designs can even have pop culture references, depicting cartoon characters, superheroes, video game characters, and more, along with with their respective love interests. 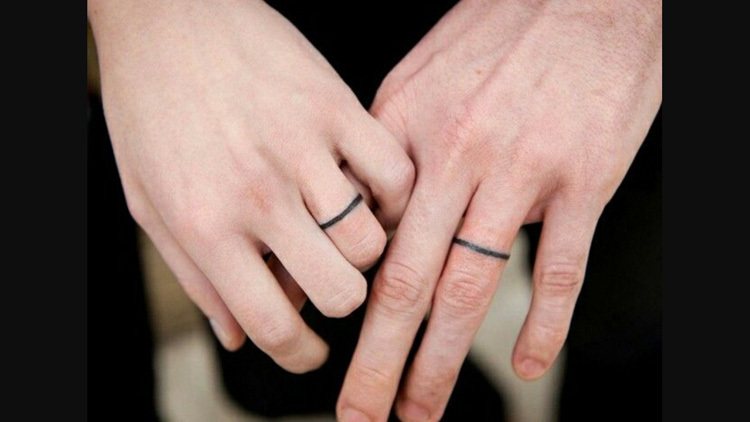 Paired tattoos are typically cute and clever, and have the advantage of looking great even on their own. 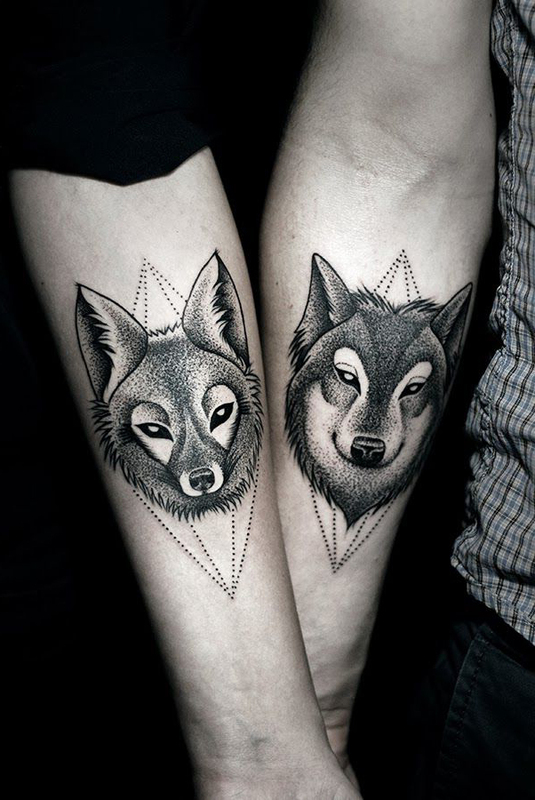 There are other couple tattoo design ideas out there, but these three should be enough to help you and your significant other get a better idea of what tattoo design the two of you might want to get. 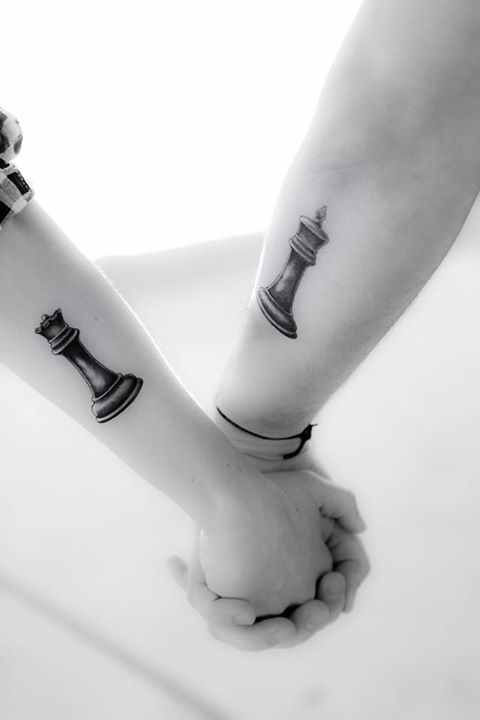 Any combination of the abovementioned design ideas has the potential to help you come up with the couple tattoo design of your dreams. Just remember to talk it over with your partner, and make sure that you both agree on your chosen design. It also makes sense to have the same artist do both tattoos, on the same day if possible. 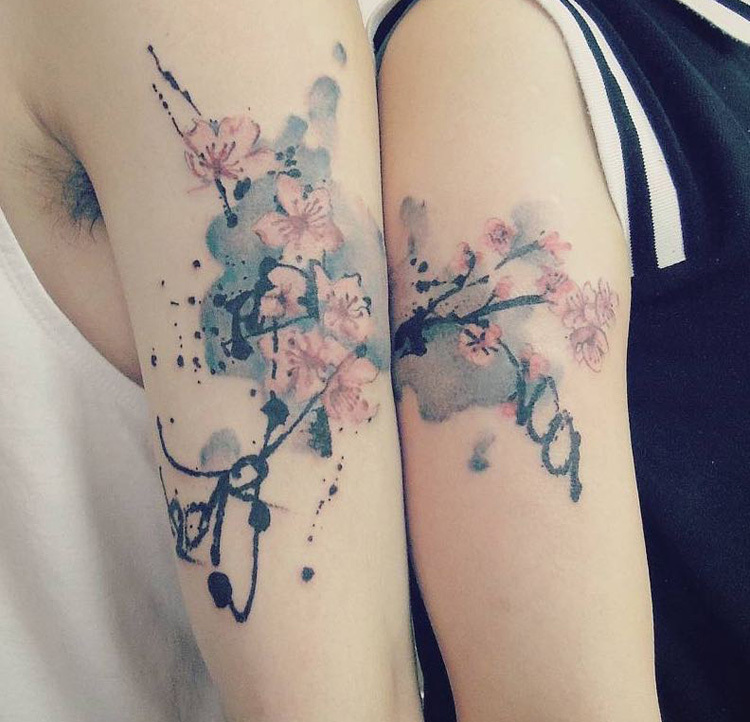 Each artist's tattooing technique is different, and you run the risk of not having your tattoos blend well together if you and your partner decide to have them done by two different artists. But then again, as long as the two of you are happy with how your couple tattoos turned out, then nothing else matters.